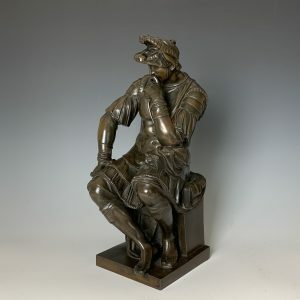 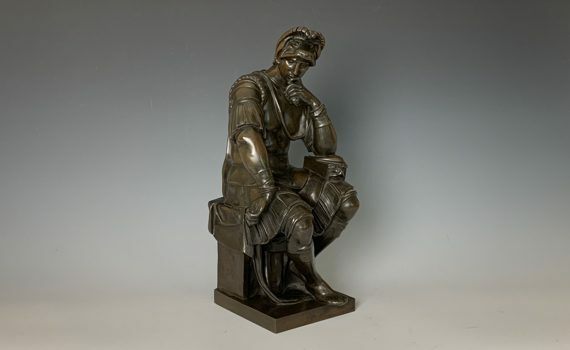 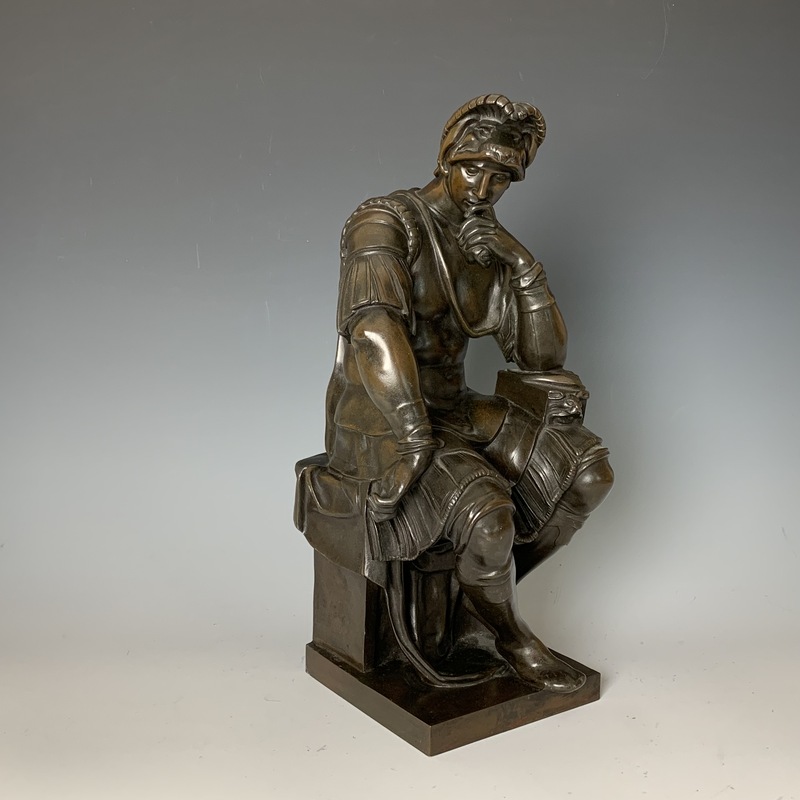 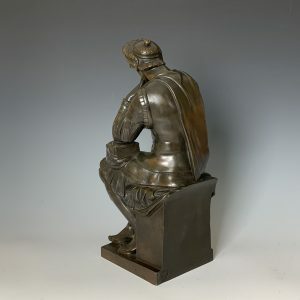 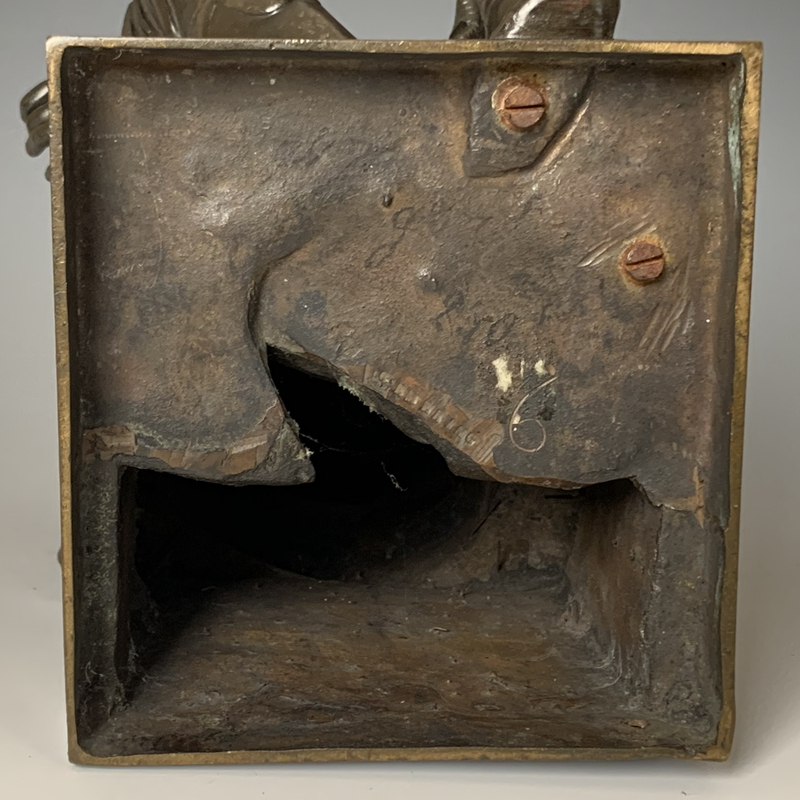 A late 19th century, French, patinated bronze ‘Laurent De Medicis’ cast by F. Barbedienne, with the A. Collas Reduction Mechanique seal. 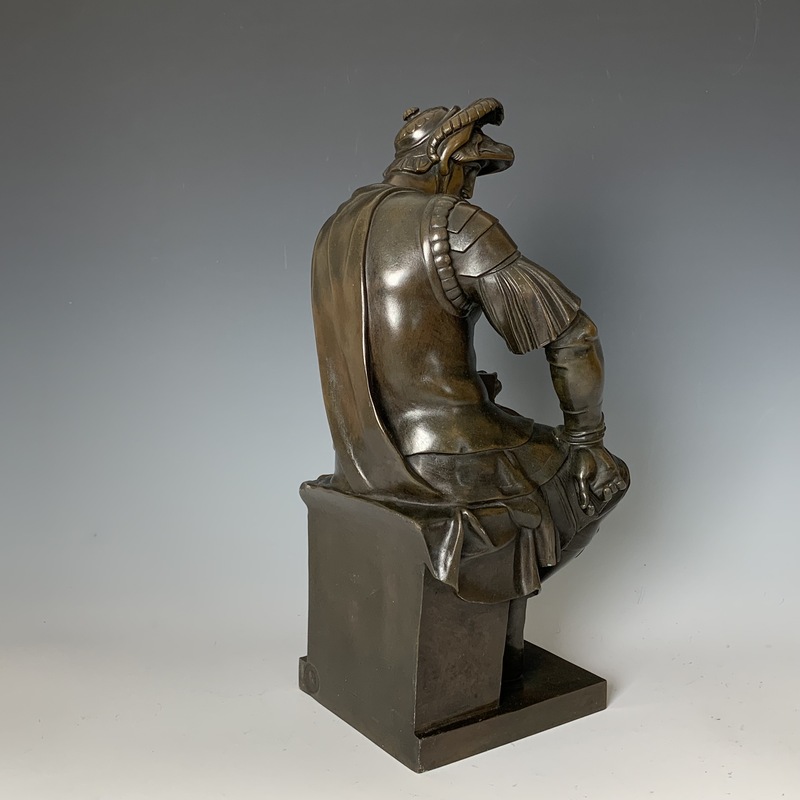 The well cast and chased figure after the renowned Michelangelo sculpture of Lorenzo di Piero de Medici (1492-1519), in the Medici tomb, Florence. 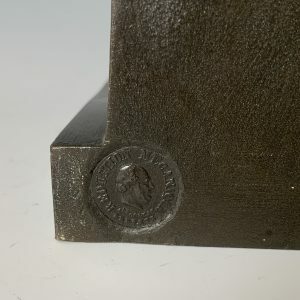 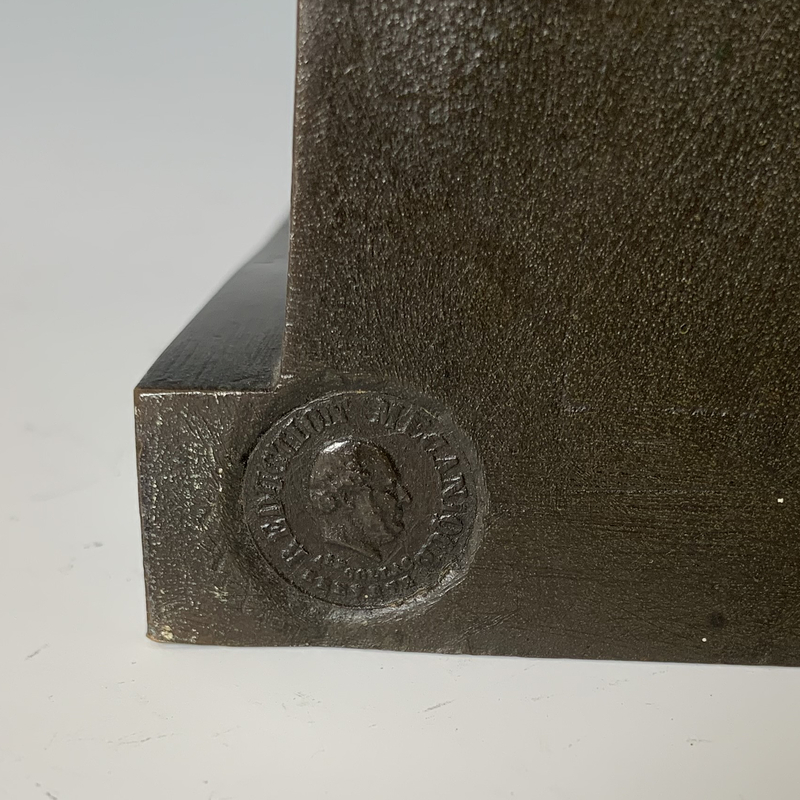 The base with inset ‘Reduction Mechanique’ seal to the reverse. 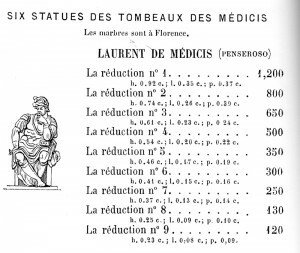 The base with ink numbering ‘250’ relating to the original price. 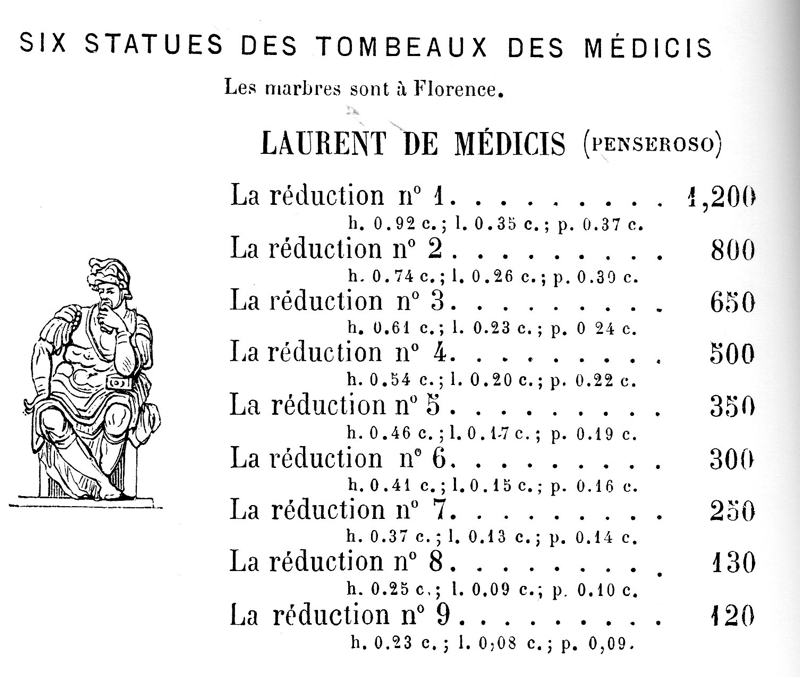 The Barbedienne catalogue index ‘La Reduction nº 7’.